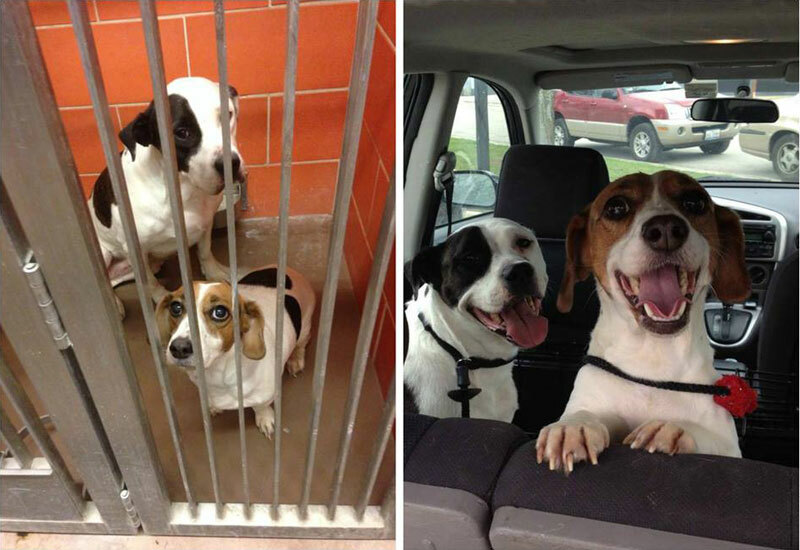 Seeing our pups daily, we don’t realize how much they have transformed over a period of time. But when you see their old pictures and you look at them now, you see they are not pups anymore. 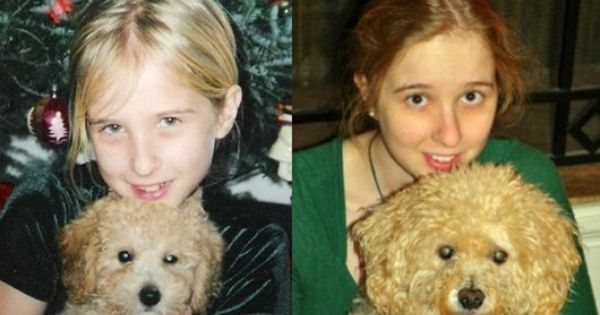 Pets and owners share a unique bond while growing up together. 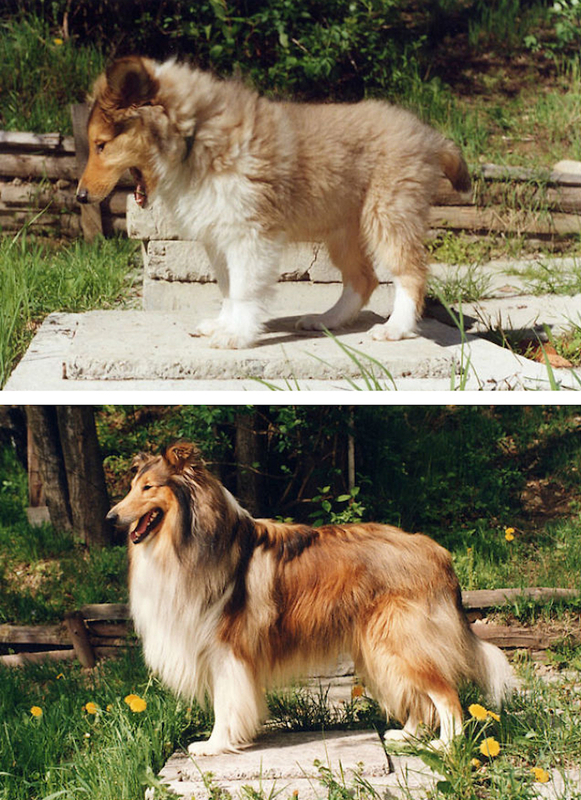 While because of their shorter lifespan, dogs tend to grow relatively faster. 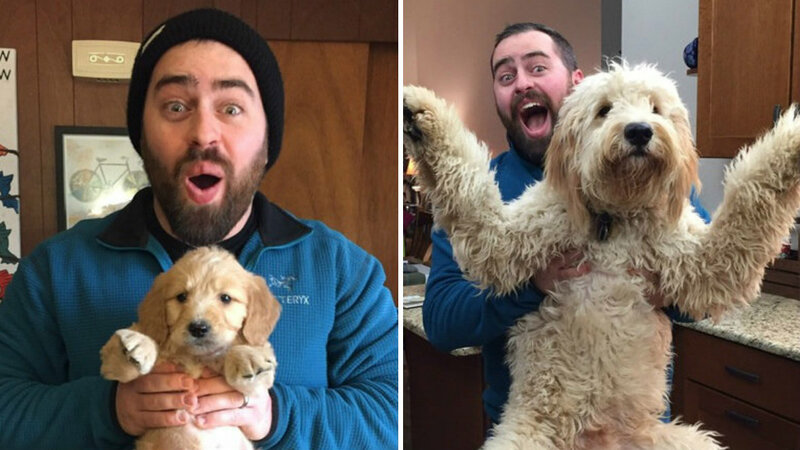 No matter how old they grow, they always remain those pups for their owners and some of their things like goofy expressions never change. 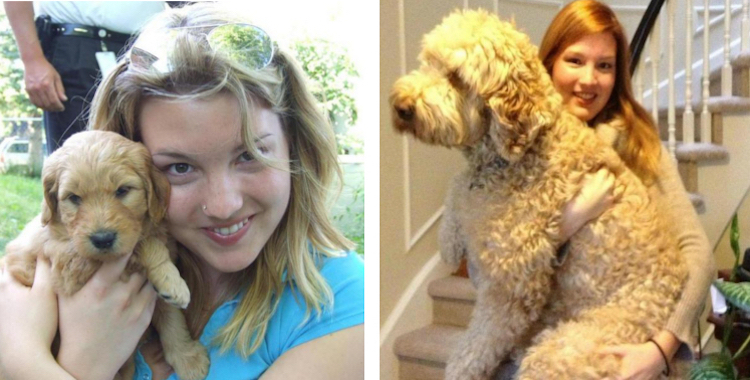 Here are some of the most adorable then and now pictures of the pooches growing up with their owners. 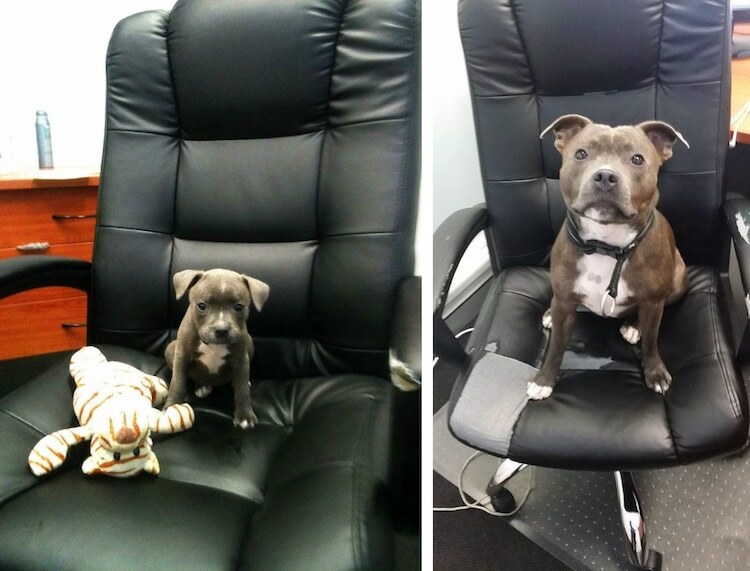 He was really surprised when he put their then and now pictures side by side! Actually, 2 years can make a lot of difference! 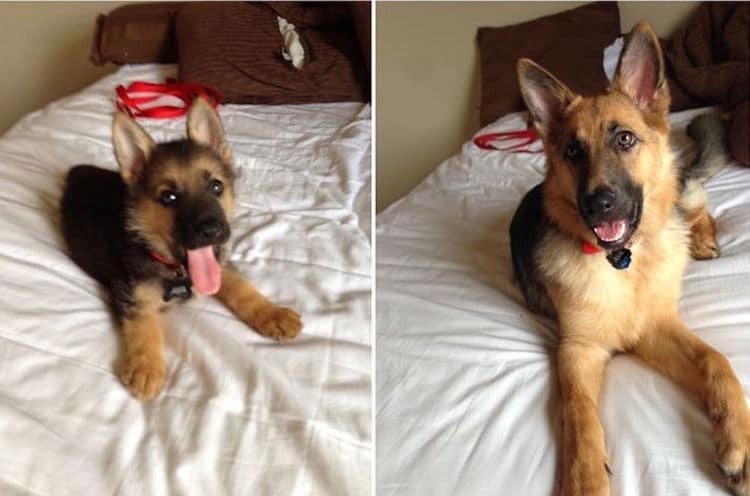 He kept growing and growing! They may grow big, but their goofy expressions and unique marks will always remain the same! 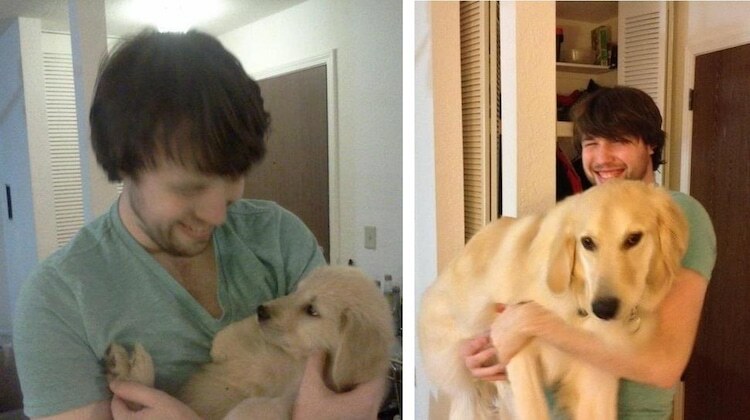 He will always remain that cute puppy for his owner! 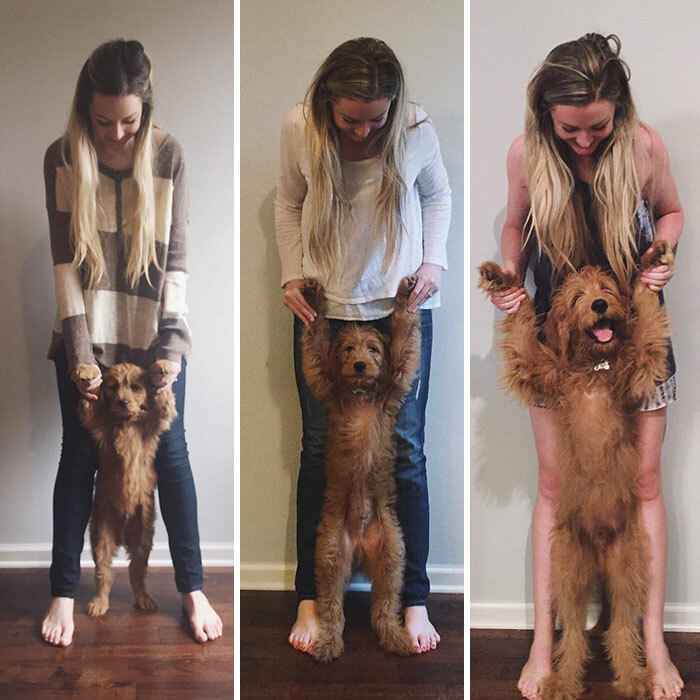 Growing Up together! This is really heart melting! 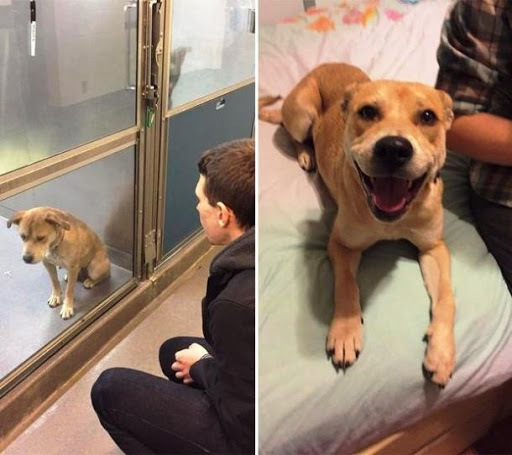 4 weeks v/s 2 years, the dog’s parent was stunned to see his transformation! 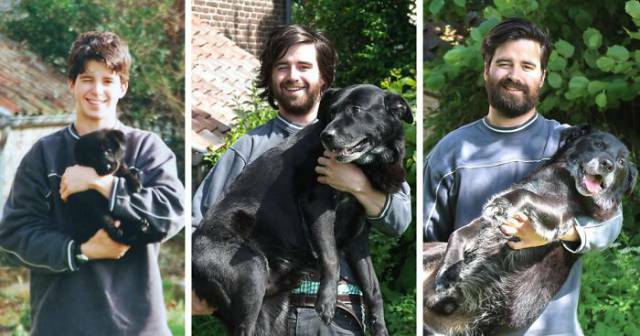 After a year, he tried to recreate the same memory with his dog and the results are adorable! He was not a puppy anymore but didn’t stop being cute! 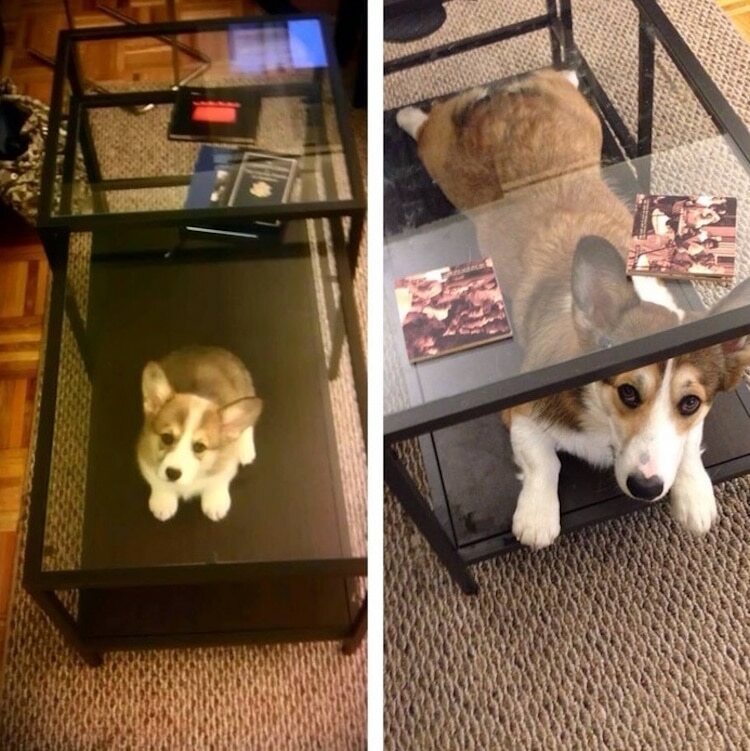 Six years and apart from his size, nothing has changed. 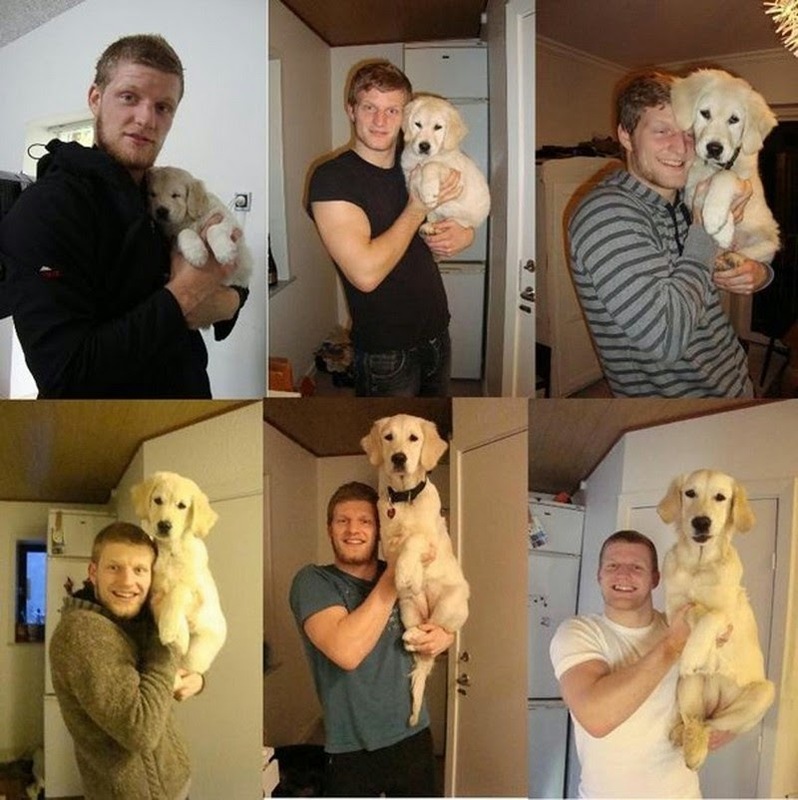 He will always remain that pup for them! 5 years and his cuteness can still make anyone fall in love with him! He took pictures of his pup growing up every year and put them side by side. This is heart touching! 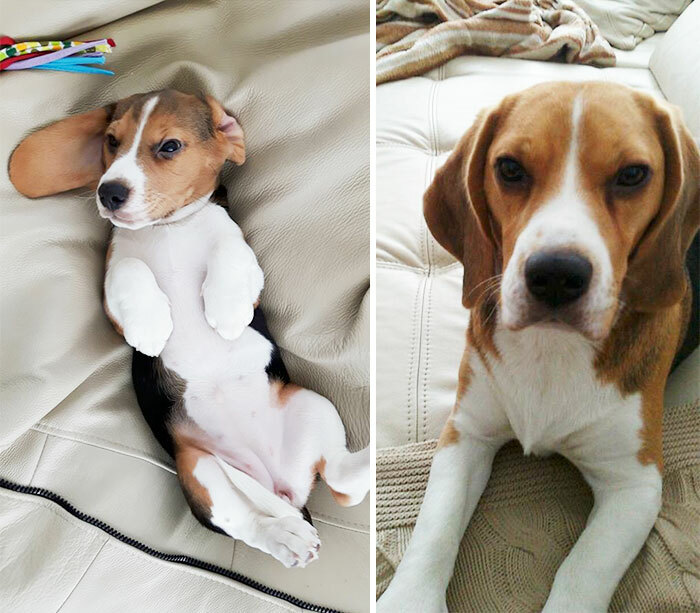 4 weeks v/s 4 years! 3 years and his goofy expressions haven’t changed a bit! 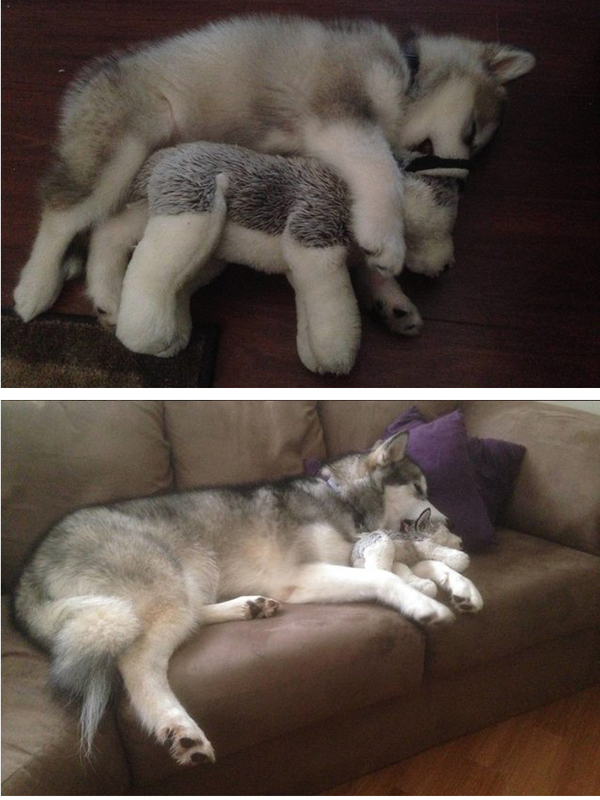 4 years and he still need that soft-toy while sleeping! Looks like in some months this bed will not be enough for his size! He is really growing fast! 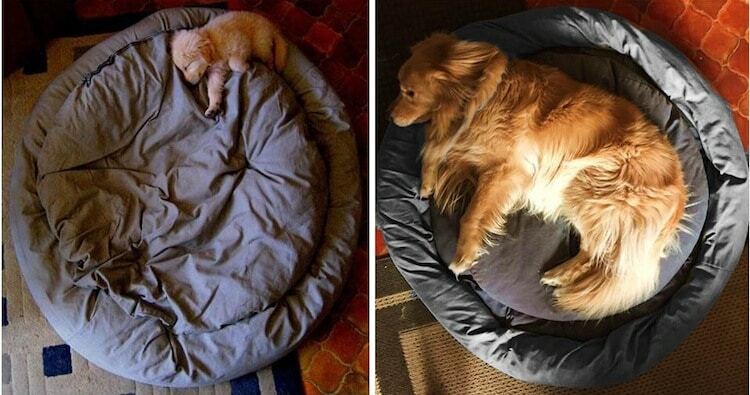 Except for his size, nothing has changed! 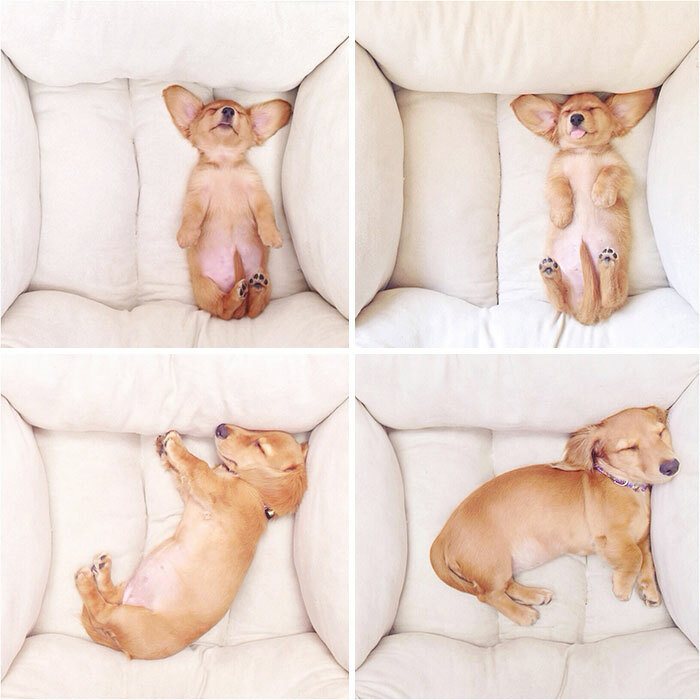 He is just the grown-up pup! 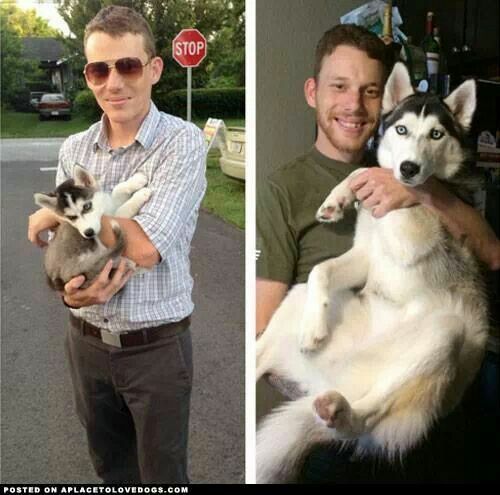 If he continued to grow up at the same speed, his owner won’t be able to lift him up anymore! 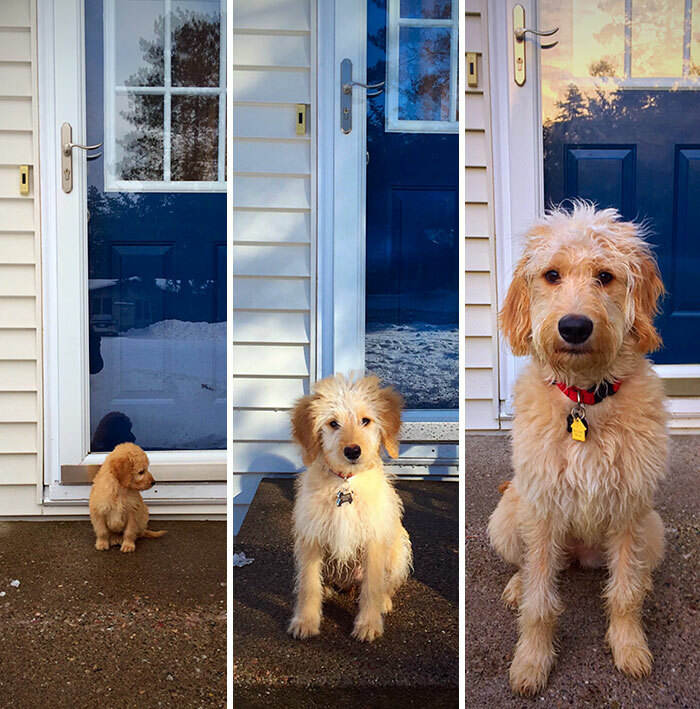 Yes, it’s just six months and he has grown up! 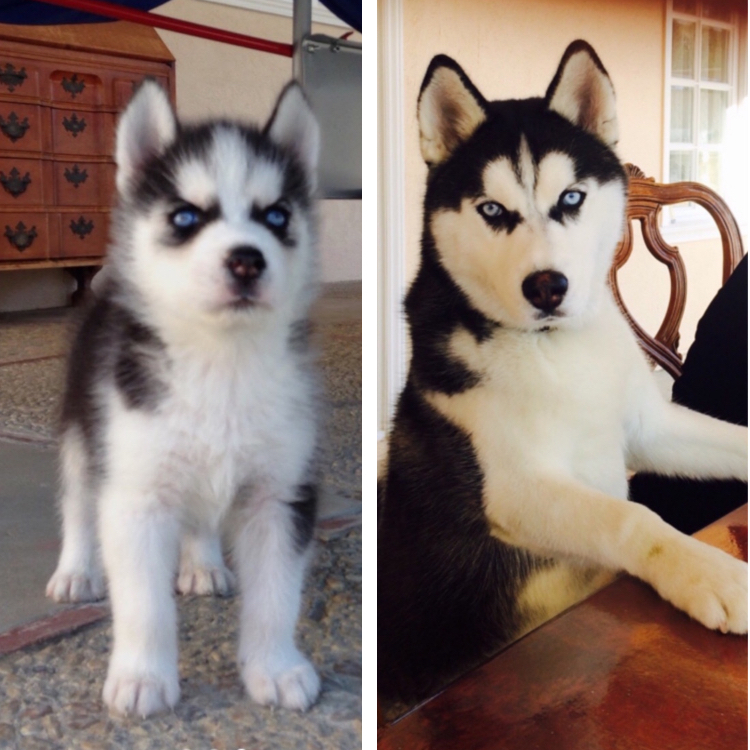 Six months can make a lot of difference. However old he grows, he won’t stop being that cute pup! 9 Weeks. 13 Weeks. 21 Weeks! 2 months v/s 6 months! 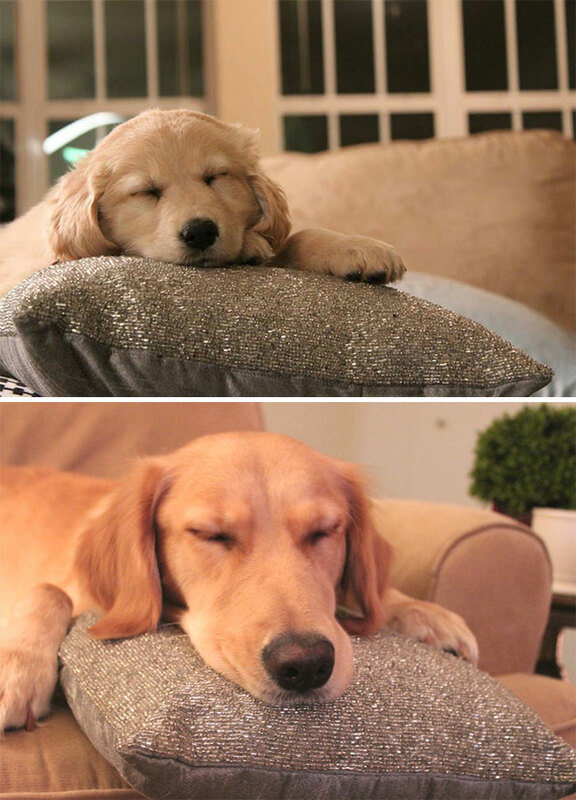 After a year he still sleeps with that sparkling pillow! 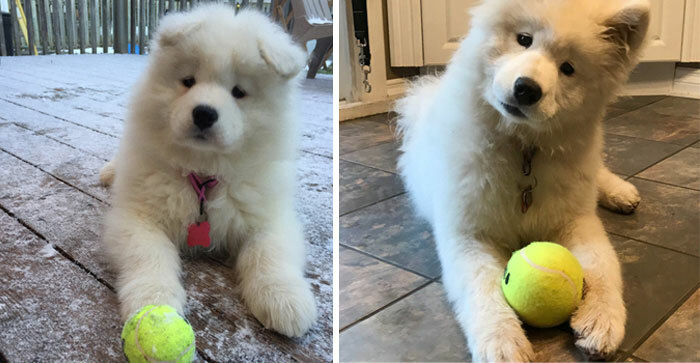 Growing cuter with each passing day! 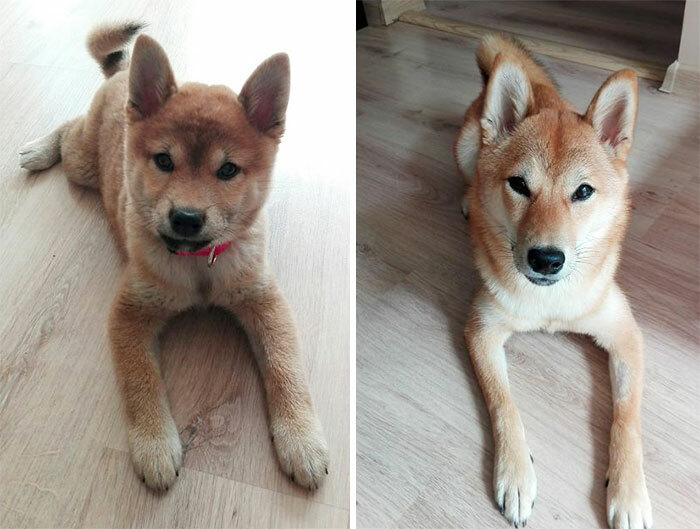 Just after 6 months, he was no more a pup!